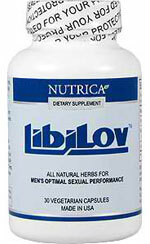 An in-depth look at the ingredients will show us if the claims are legit and if men should prefer this brand over the other sexual enhancement aids available today.Yet another male enhancement product in the market, Libilov promises to improve sexual stamina, and help solve sexual performance problems “naturally.” The official website displays links to clinical studies based on one of its main components – Tribulus. Libilov does not market itself as a stimulant (i.e. no Yohimbe extract), which is the main reason why the manufacturers claim their product to be safe (read: no unwanted side effects) and effective (read: no masking of symptoms). The main components according to the Libilov website are: Tribulus terrestris (used in Asia and Europe to potentially treat a variety of sexual performance related issues), Ginkgo biloba (known to improve blood flow) and L-Arginine (an amino acid necessary for achieving erections). 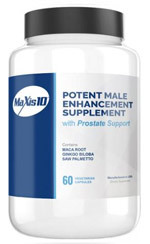 Though first impressions for this product are indeed promising, we are wondering why the formulation for this product is without Yohimbe or Epimedium – ingredients that are typically included in male enhancement products. Yohimbe (in the proper concentration and potency), as everybody who has tried a sexual enhancement formula knows, is a highly effective aphrodisiac and stimulant. Epimedium, also a well-known sexual stimulant and prized for its safety is not to be found on Libilov’s list of components. Frankly, in terms of ingredients alone, we are not really comfortable giving Libilov a more than average rating. 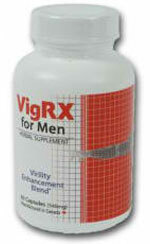 The thing is, the market is just saturated with different male enhancement products, which really makes choosing the right male enhancement product doubly difficult. A consumer shouldn’t have to make a choice between safety and effectiveness. A product – whatever it is, must be able to deliver both. As for Libilov, while it scores highly on the safety scale, it doesn’t really impress us on the effectiveness meter, mainly due to the lack of Yohimbe and Epimedium. It would be great if the manufacturers make it an imperative to improve the formulation. 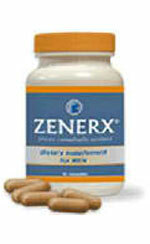 Until then, we can only give this product if not an average score then a needs improvement – and quick!